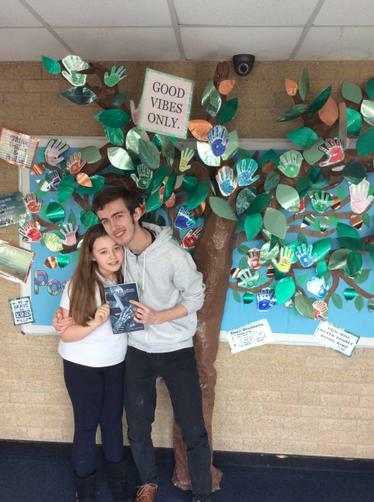 Dylan Wardle, a former Southglade pupil, visited our school today to talk about life as an author. He has written and published his own book entitled: words of solitude. 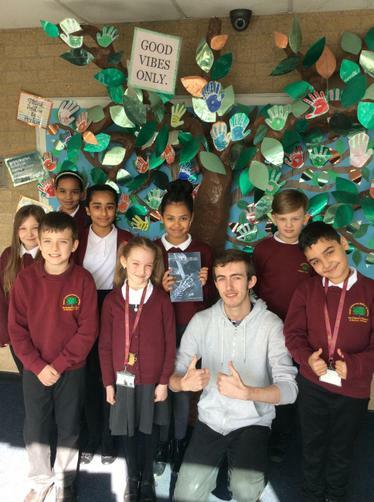 Dylan has wanted to be a writer since the age of 5 and through hard-work and dedication he has achieved his aim. Dylan came into our ks2 assembly today to talk about how he achieved his goals and to also inspire our children that they too can achieve their ambitions through dedication and perseverance. He also brought in his literacy award that he received in the 2008-9 academic year when his teacher was Mrs Hyland- it was Mrs Hyland's assembly today and it was Mrs Hyland who had nominated Dylan for this award a decade ago. Thank-you Dylan: we are all so proud of you and everything you have achieved.